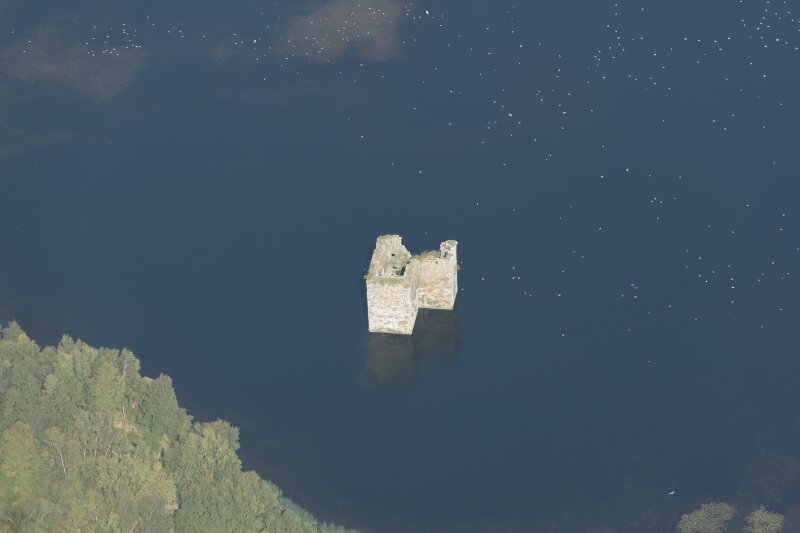 Oblique aerial view of Stanely Castle, looking N.
Oblique aerial view of Stanely Castle, looking SE. 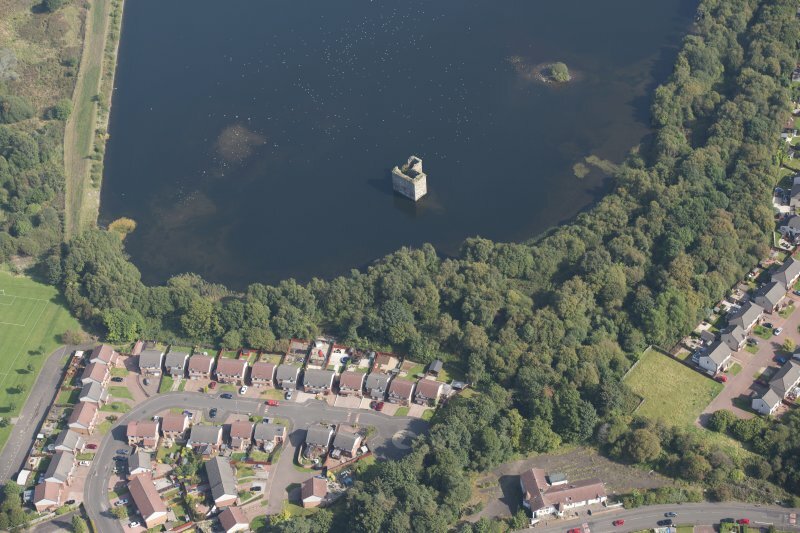 Oblique aerial view of Stanely Castle, looking SW.
General oblique aerial view of Stanely Castle, looking NE. 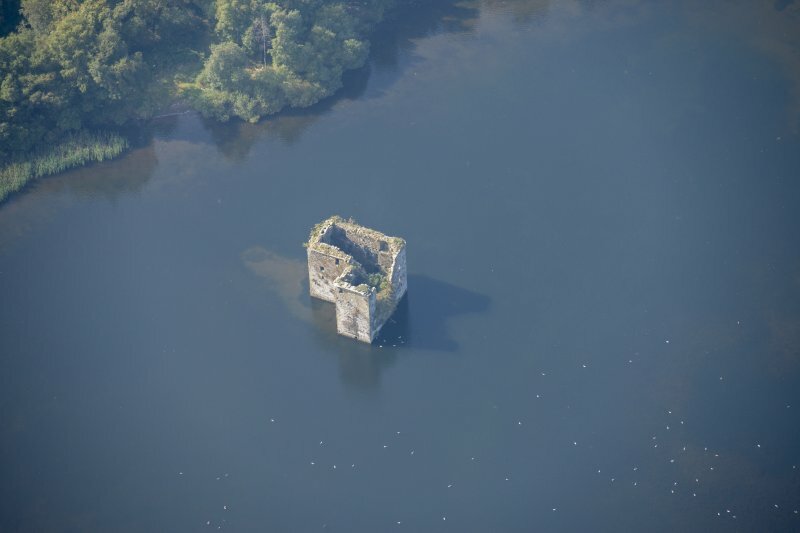 Oblique aerial view of Stanely Castle, looking WNW. 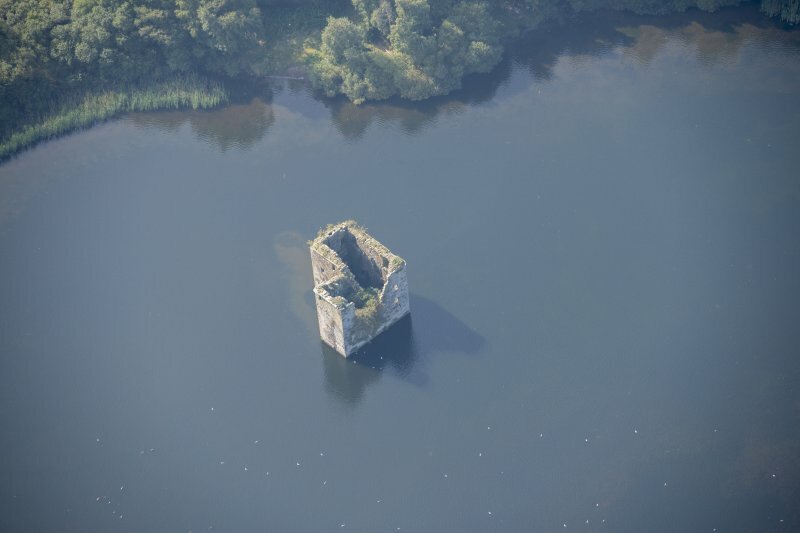 Oblique aerial view of Stanely Castle, looking SSW. 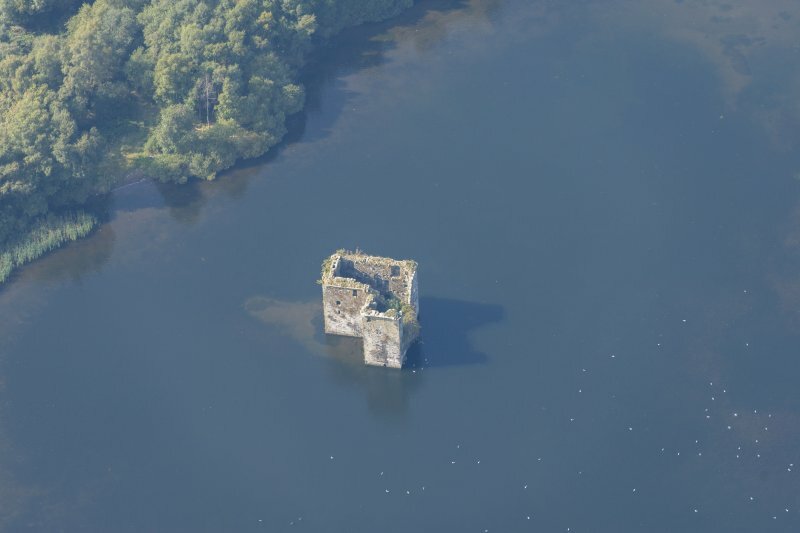 Oblique aerial view of Stanely Castle, looking NNE. 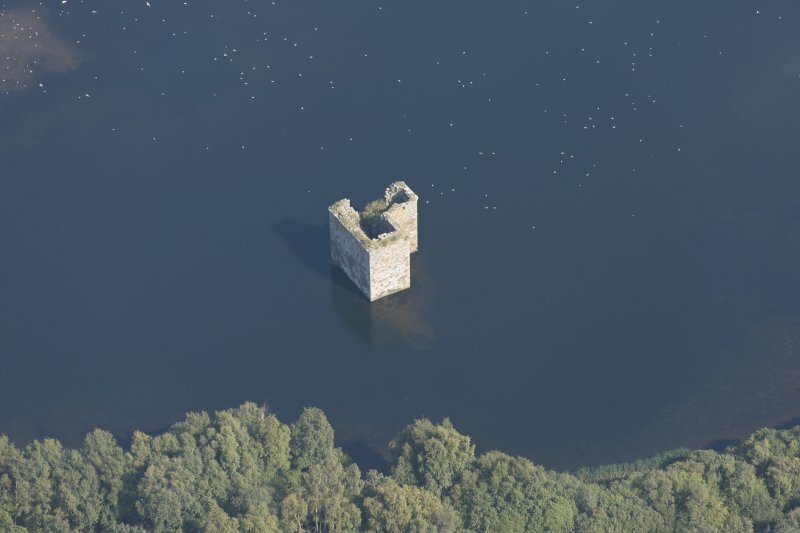 Oblique aerial view of Stanely Castle, looking ESE. 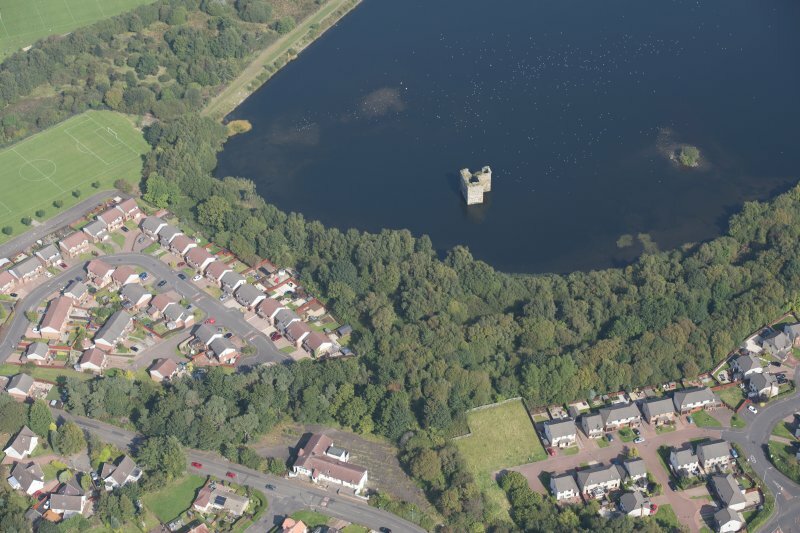 Oblique aerial view of Stanely Castle, looking W.
Oblique aerial view of Stanely Castle, looking ENE. 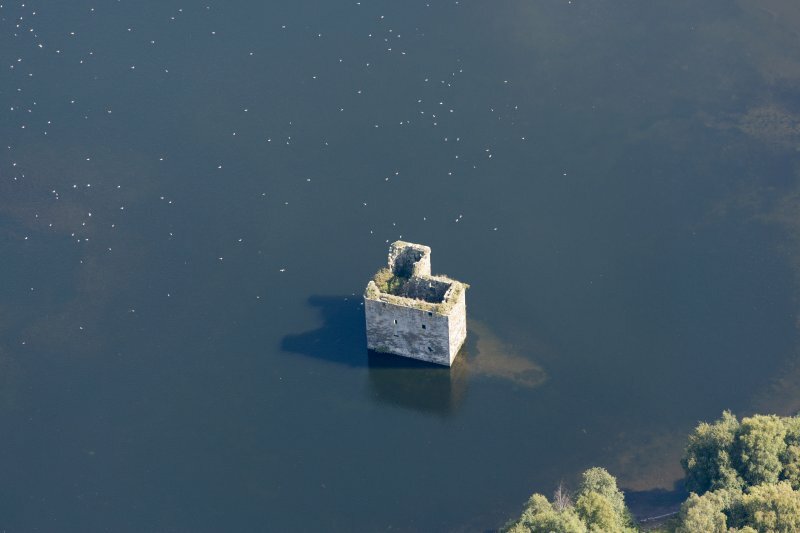 Oblique aerial view of Stanely Castle, looking S.
Oblique aerial view of Stanely Castle, looking NE. 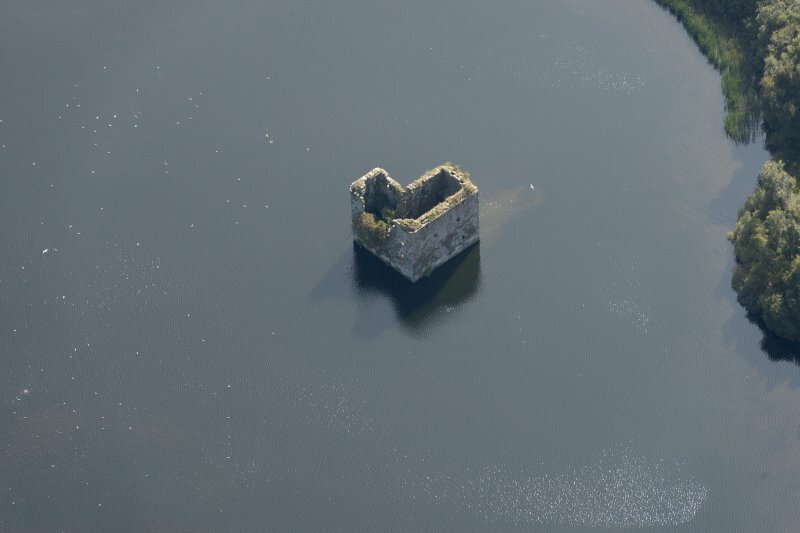 Oblique aerial view of Stanely Castle, looking NW. 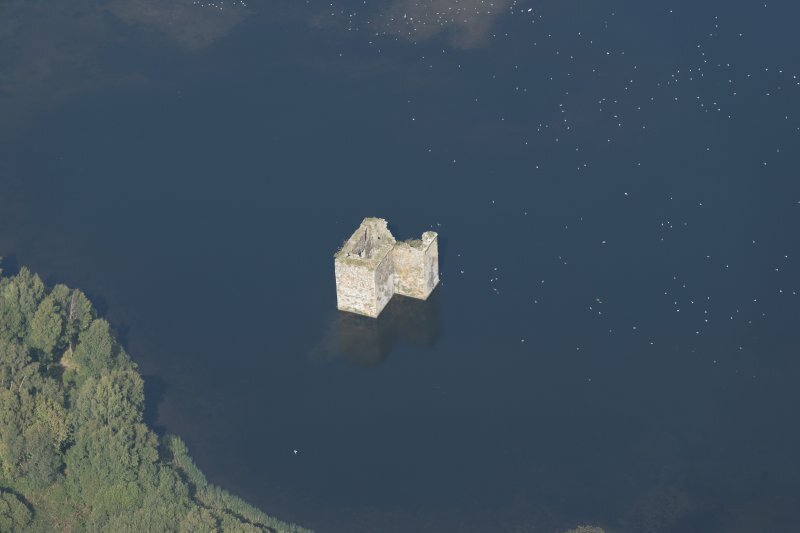 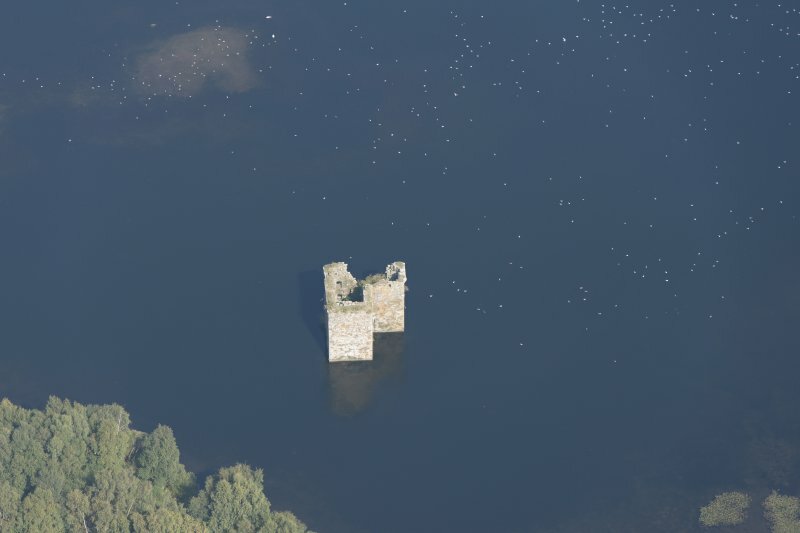 Oblique aerial view of Stanely Castle, looking SSE. 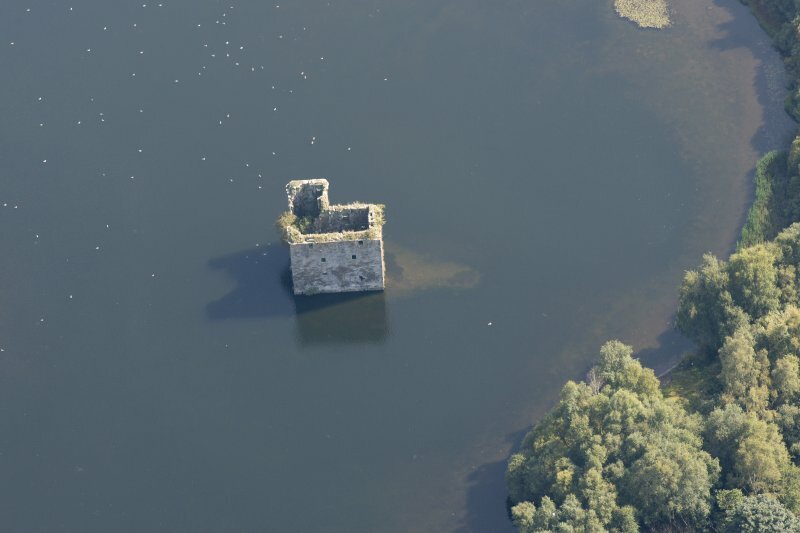 Oblique aerial view of Stanely Castle, looking WSW. 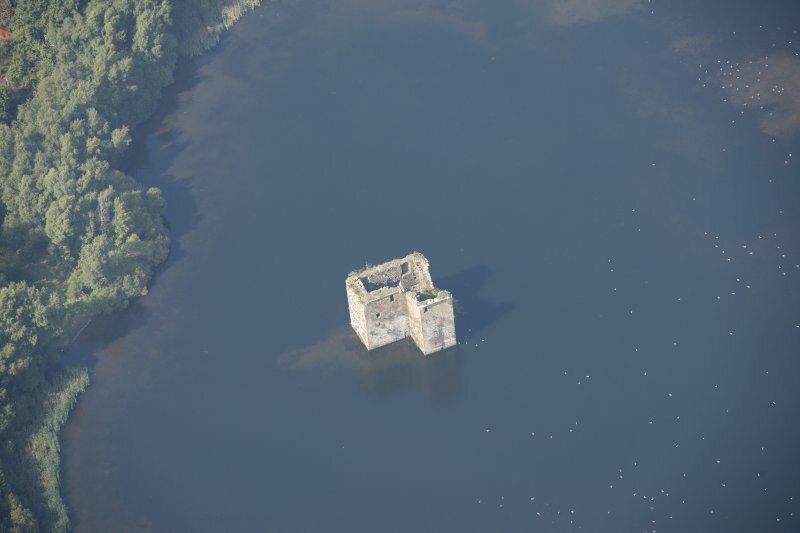 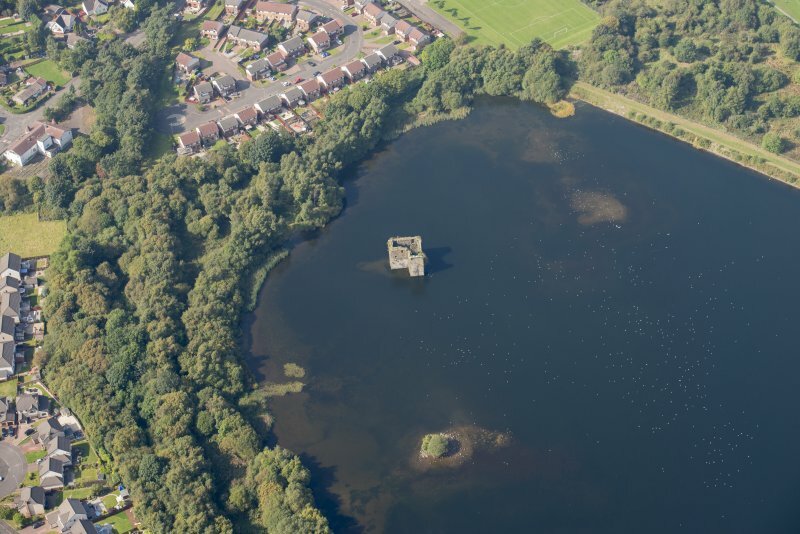 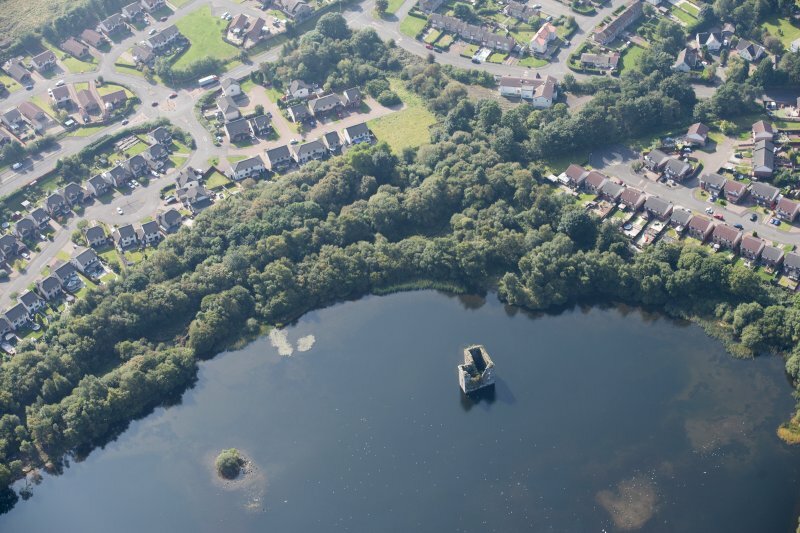 Stanely Castle, a massive fortalice, probably of early 15th century date, is now surrounded by the reservoir of Paisley Waterworks. 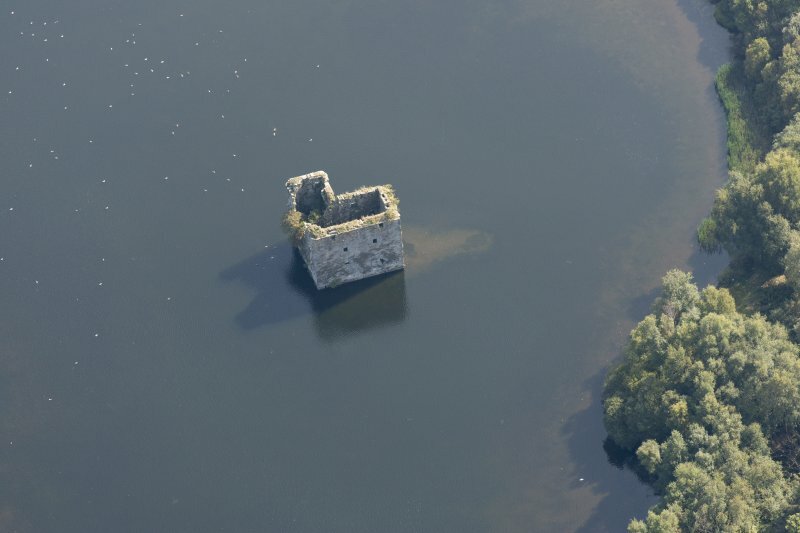 Its site was formerly an island in a marsh. 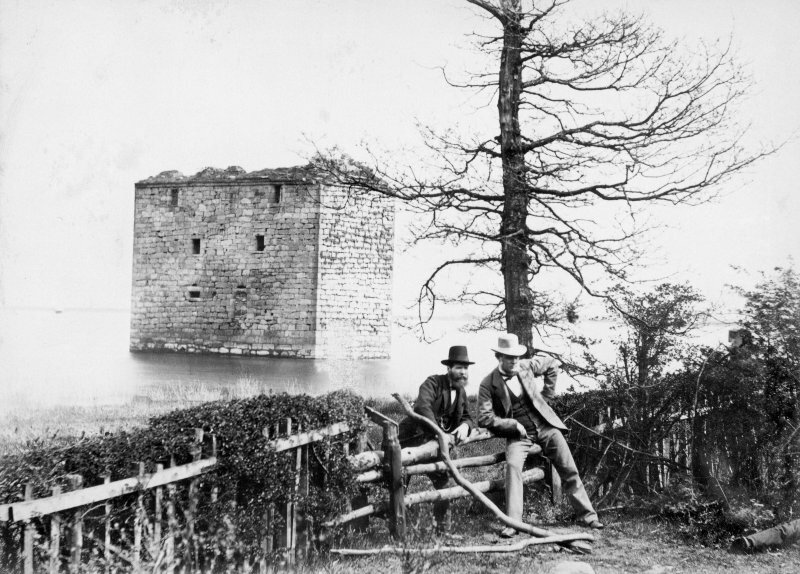 L-planned, it is four storeys high to the parapet, with the garret storey above long ruinous, and the interior gutted. 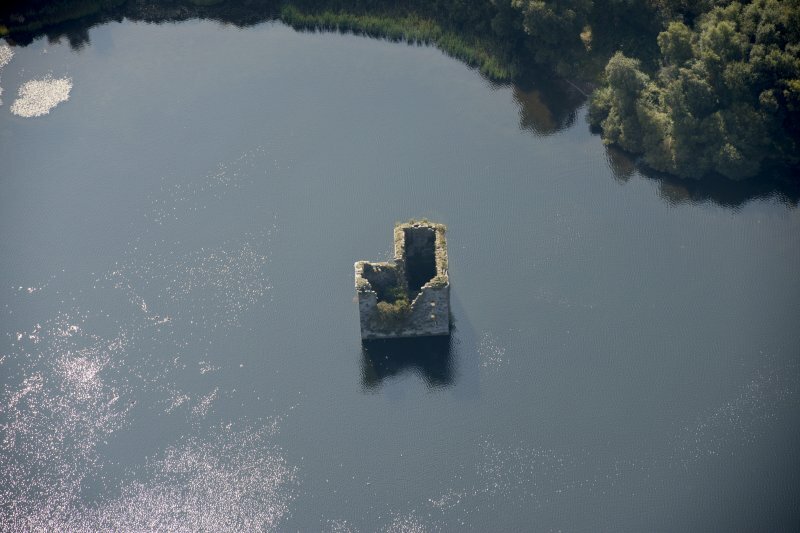 Its masonry is of good coursed rubble, and the windows small and scanty, with keyhole-type arrow-slits.